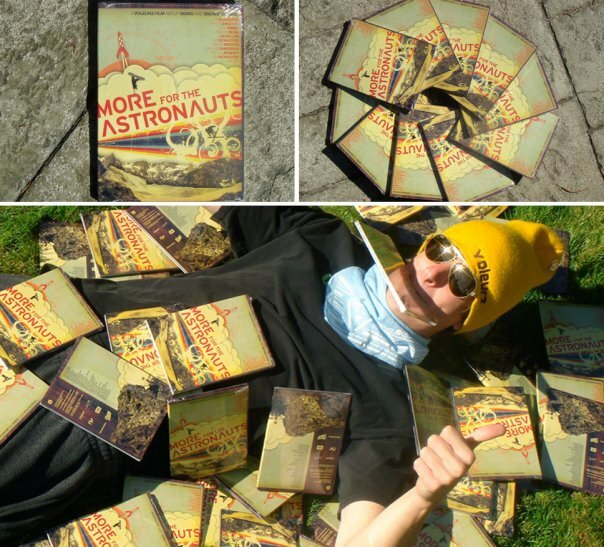 The Voleurz family film &quot;More For The Astronauts&quot; is now available for purchase online! Visit http://www.voleurz.com to grab a DVD for $29.99.The Family is currently in Montreal and having way too much fun. We're in training mode for the &quot;MFA&quot; video release party at FOUFOUNES on Wednesday Nov 14th. If you're a local to the 514 then make sure to come check out the film as well as the freshest line of Voleurz clothing to date... Ohh, and go to http://www.toestanders.com and get excited.